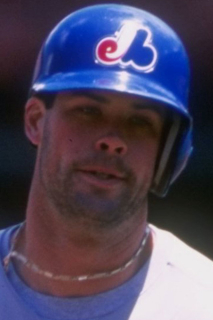 Draft: 1991, Montreal Expos, 11th rd. June 8, 2010 Cleveland Indians designated 2B Mark Grudzielanek for assignment. April 4, 2010 Cleveland Indians selected the contract of 2B Mark Grudzielanek from Columbus Clippers. April 2, 2010 Mark Grudzielanek assigned to Columbus Clippers. January 12, 2010 Cleveland Indians signed free agent 2B Mark Grudzielanek to a minor league contract and invited him to spring training. August 10, 2009 New Britain Rock Cats released 2B Mark Grudzielanek. July 31, 2009 2B Mark Grudzielanek assigned to New Britain Rock Cats from GCL Twins. July 20, 2009 Mark Grudzielanek assigned to GCL Twins. July 19, 2009 Minnesota Twins signed free agent Mark Grudzielanek.